Explore Northumberland National Park through the poetry of Simon Armitage. Poems in The Air is the main commission from the emerging Sill Arts Programme, that promotes engaging and creative ways to discover and learn more about Northumberland National Park. Simon was born in 1963 and lives in West Yorkshire. He has received numerous awards for his poetry and in 2015 was appointed Oxford Professor of Poetry. Simon was excited by the concept of poems that are not written down, but exist within the landscape. Poems that could be heard in the place rather than poems that conjure up an imagined place. The unique landscape of Northumberland National Park, where hidden stories and secret places are abundant, is an ideal location for this innovative collaboration. Poems in the Air is part of Northumberland National Park’s Sill Arts Programme. Acclaimed poet Simon Armitage was commissioned to write six new poems inspired by hidden gems in England’s most tranquil national park. In doing this Simon spent time with national park rangers at their favourite places. 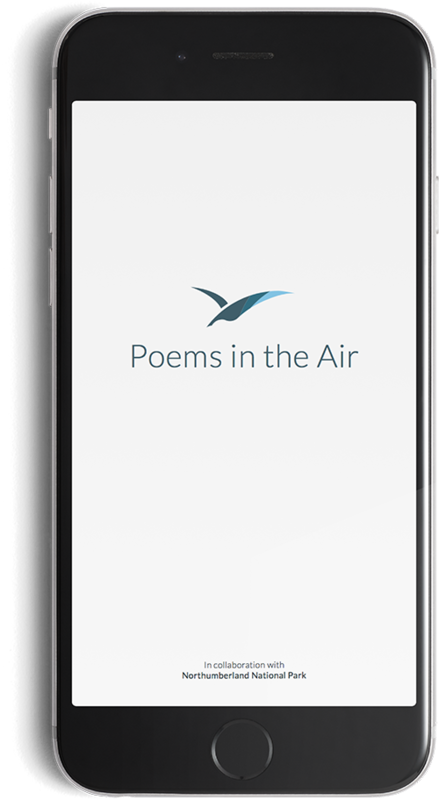 Using the Poems in the Air app you can now follow in Simon’s footsteps. 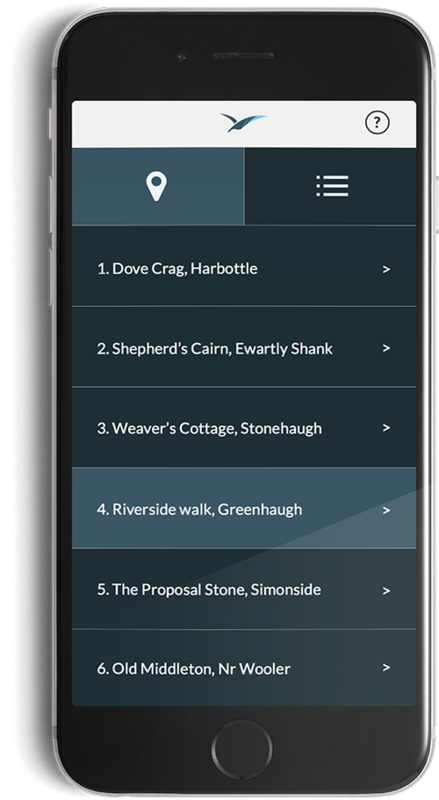 The Poems in the Air app contains all of the information, maps and directions you will need to find each of the six sites and listen to Simon reading his poems in the exact places that inspired him. To get the most out of Poems in the Air simply follow this set of five simple instructions. Download Poems in the Air from the App Store. The first time you open the app you'll be given instructions on how to use and get the most out of it. You can choose between viewing poem locations on a map or in a list. From here you can select the poem site you'd like to visit. 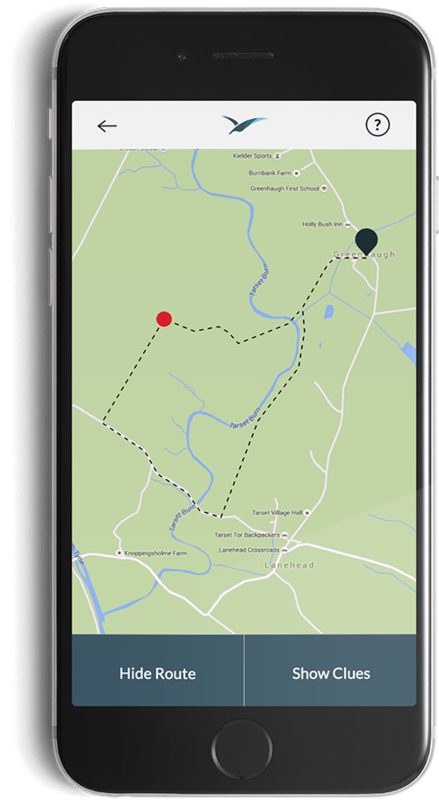 After choosing a poem site to visit you will be provided with an illustrated route of the walk along with directions. 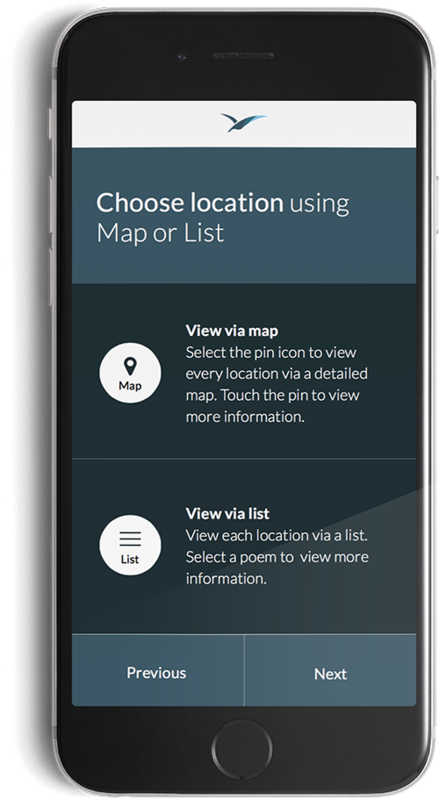 You'll be able to see your current location and the location of the poem on a map. 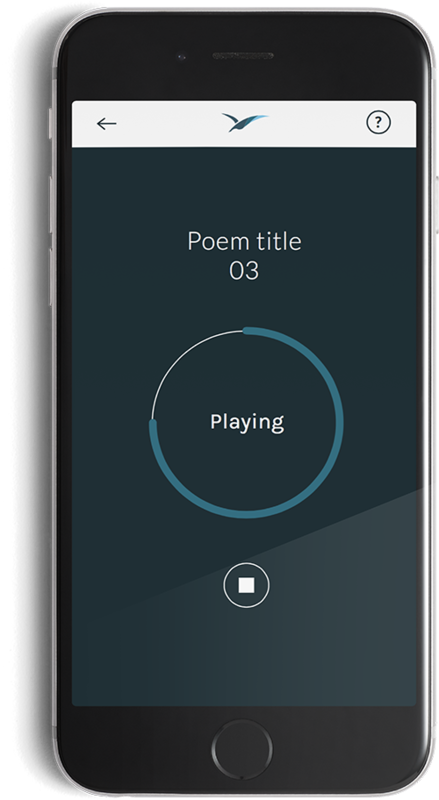 Once you reach the poem location you'll receive a notification that the poem is unlocked and available to listen. It will remain unlocked for two hours.